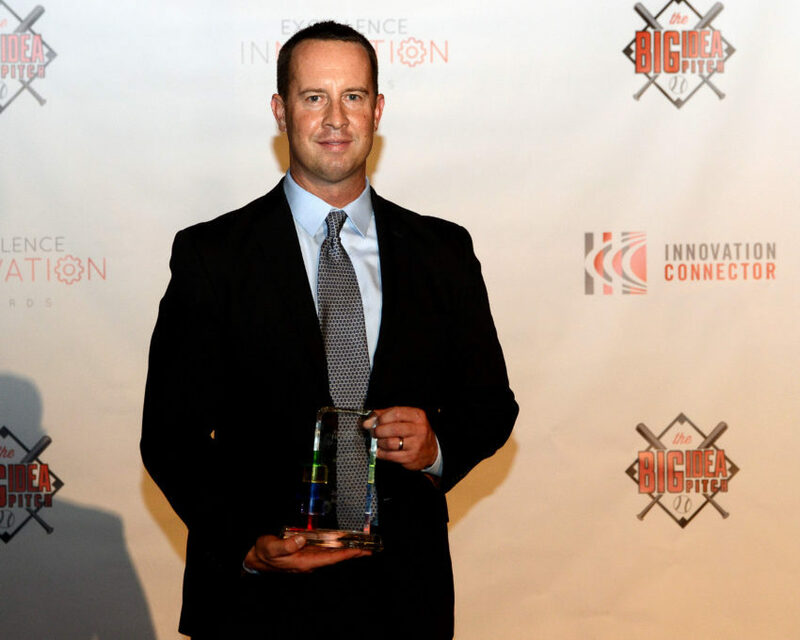 November 29, 2016, Muncie, IN – Muncie-based landscape company Jay-Crew was recently honored by the Innovation Connector at the 2016 Excellence in Innovation Awards ceremony at the Horizon Convention Center. The evening celebrated the accomplishments and entrepreneurial vision of five local leaders in business innovation and the businesses they represent. Jay-Crew was founded by Jason Brooks in Muncie in 1996 with a couple of mowers, a group of college friends, rented garage space, and a strong desire to take care of their clients. Today, the Jay-Crew team of more than 60 employees provides professional landscaping, lawn care, irrigation, and year-round maintenance services to keep businesses looking their best. They recently expanded their service reach by opening a second location in Indianapolis. This division will serve commercial clients in and around the Indianapolis metropolitan area.